In some promotions you may want to have only certain products available for the promotion you have selected. To do this you need to create the Promotion and within filling out the form select Discount On Specific Products. 2. Select Action next to the promotion in question, then select Product Restrictions from the drop down menu. 3. 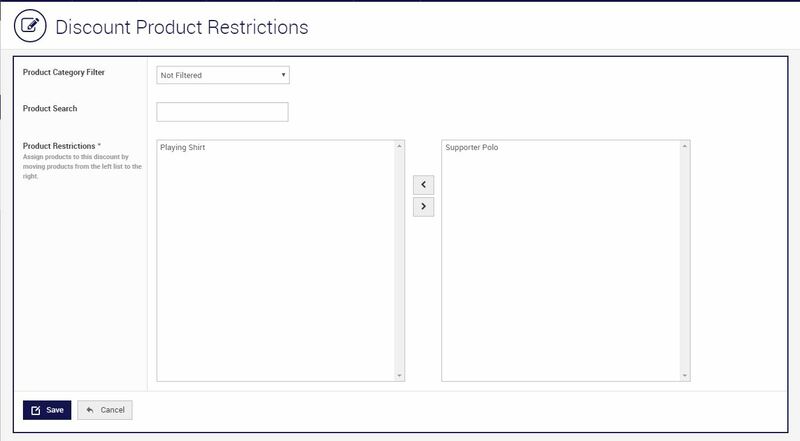 Here you will find 2 columns where you will assign the products to the right if you would like Discount to be applied to those Products. Tip: To select multiple products press Shift and press the down key. Once highlighted press the arrow to the right.